The Upper West Side is a pretty quiet place. I was waiting for my friend to arrive, just standing on the corner of W 70th St and Columbus Ave with my wife. Then, I heard the noise … it kept getting louder. 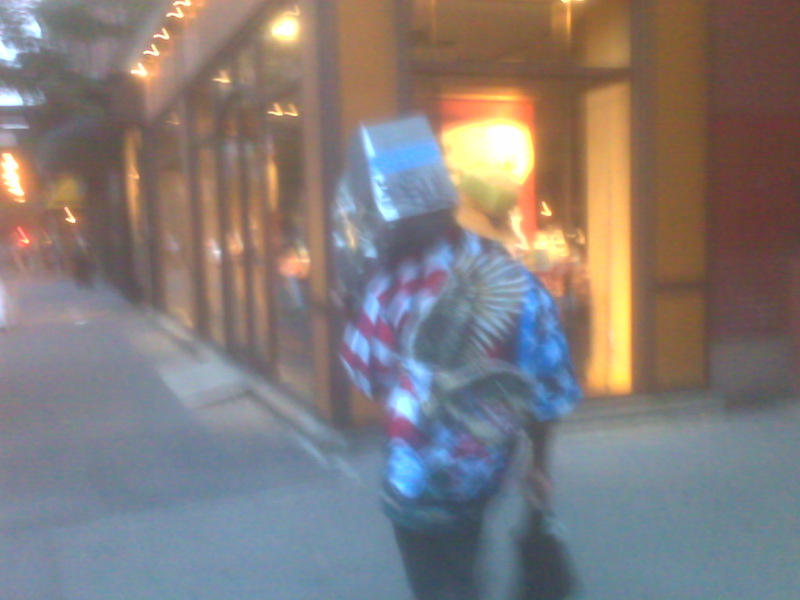 There was a guy walking down the street with a radio on his shoulder, partying like it was 1989. The picture is fuzzy because I only had my blackberry available, adn he was moving at a good clip. Hey, the music made him move. I get it. My second attempt at a shot, with my blackberry again, was even less successful. The first time, he was walking; I was not. The second time, we were both in motion, and I was following him. The best part of this whole experience is that they guy was playing music appropriate to his style of expression. It was old school breakdancing music. I half-expected him to throw down some cardboard and bust out some moves. Hell, I felt the urge to do so myself. But, I had neither cardboard nor moves to bust out. So, I stuck to my usual gig, walking around the neighborhood. This was a nice treat from the norm in my part of the city. That’s why I love sitting here. Hang out on the stoop long enough, and you’ll see one of everything … and everyone. 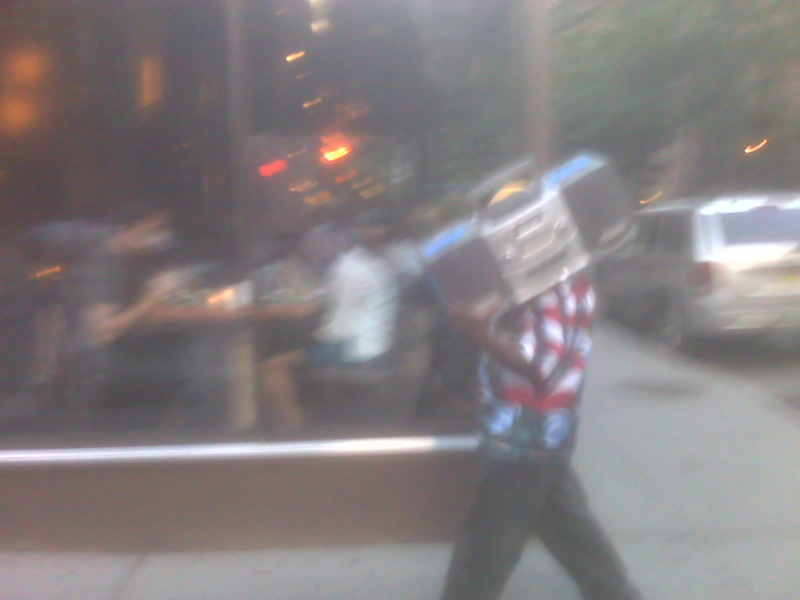 This is like Manhattan’s version of my favorite street entertainer in Helsinki. This entry was posted in New York and tagged 1980s, Finland, Helsinki, Manhattan, Music, New York, Radio, Street Performer, Upper West Side on June 26, 2008 by Tom.